DSPCA teams up with global group, Animal Hero Kids, for a special reading of new book celebrating heroic youth by children to four legged residents. Dublin – Friday, May 29, at 4 PM The DSPCA and Animal Hero Kids join forces to encourage and recognize courage and compassion in youth with a Schools Out Animal Hero Kids book party at the home of the DSPCA nestled in the Wicklow mountains. The four legged residents will be read to by young school children, an exercise proven to soothe lonely dogs and cats and improve literary skills. “All ages of kind kids are welcome to attend, ” says, Gillian Bird of the DSPCA. 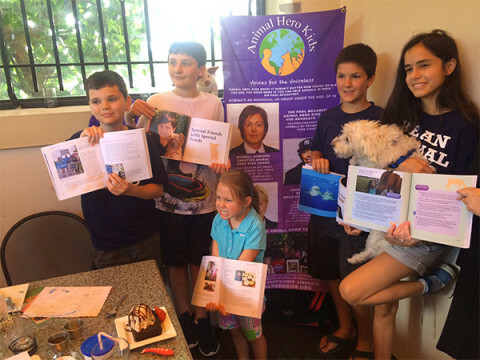 “Paul McCartney was definitely, correct when he said it doesn’t matter how old you are, we can all help animals in need” says the author of “Animal Hero Kids Voices for the Voiceless ” book celebrating the actions of brave, kind youth around the world, and founder of Animal Hero Kids. Susan Hargreaves returns to her roots from the US, she learned from her Galway grandfather to care for all animals at an early age. The true stories of rescue and courage will be read by school children at the event to some of the DSPCA’s four legged residents who are in need of forever, loving homes. 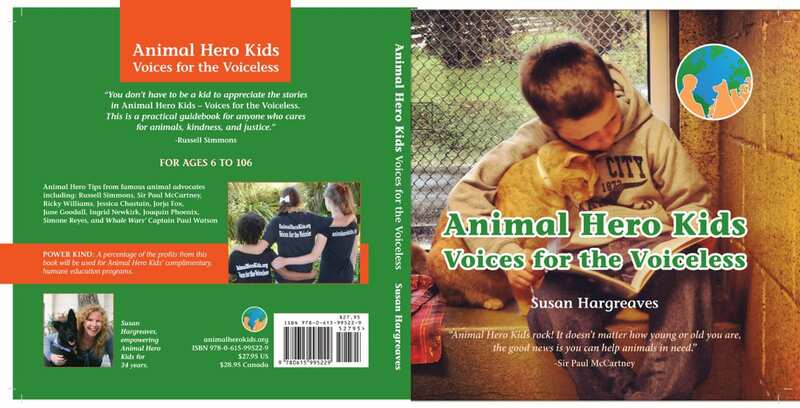 The book demonstrates how Animal Hero Kids are effective voices for the voiceless, a fact discovered by 34 year veteran animal activist, wildlife rehabilitator, humane educator, author, Animal Hero Kids Inc. founder, Susan Hargreaves. 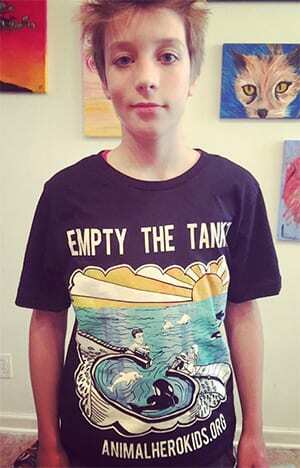 Her heart-warming stories of children and teens going above and beyond to help animals in need are astounding. This practical guidebook inspires and empowers animal protectors of all ages with the practical tools to be heroes to all species of animals. Animal Hero Tips are contributed by famous animal advocates including Sir Paul McCartney, Russell Simmons, Joaquin Phoenix, Jessica Chastain, Ricky Williams, Jorja Fox, and Jane Goodall. Activity ideas, lesson plans and practical steps to help animals are included. A short story of Super Hero “Saoirse” concludes the book.. A short story of Super Hero “Saoirse” concludes the book. Profits from the book go to Animal Hero Kids Inc. Kindness programs to prevent animal cruelty.